The following Saturday, September 17, we bring you another tradition going into its 7thyear. 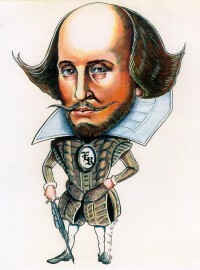 This Shakespeare workshop, affectionately known as our annual “Shakespeare Boot Camp,” is a one-day workshop that provides an inviting, supportive, creative environment to explore and perform scenes from Shakespeare, get constructive feedback and have lots of fun bringing the Bard to life. This workshop is appropriate for all levels of experience, adults 15 years old and older. To register for the Workshop, click the “Add to Cart” button below. This will take you to a page where you can select the number you want to register for and then complete your purchase. (Our online sales are provided through the security of Paypal; we add $0.75 to offset Paypal’s charges.) All sales are final. We look forward to seeing you at the Workshop!